The first treehouse of the series was designed to be The Sherwood Forest Visitor Centre in Sherwood Forest, England which was once the place that Robin Hood lived. London architects ‘Make’ are responsible for the design and have used a giant splinter effect to create something that looks both organic and extreme. 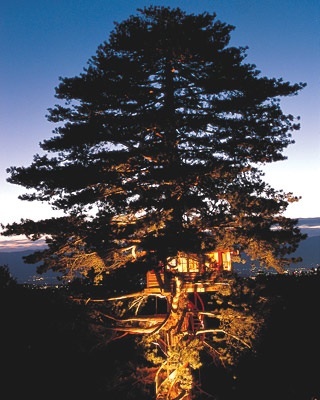 Next is this incredible treehouse which is in fact a fully functioning restaurant. What a great idea for somewhere special to take a date! The tree restaurant was commissioned by Yellow Pages as part of a marketing campaign but the designer is said to have based his plans on something a lot more light hearted. 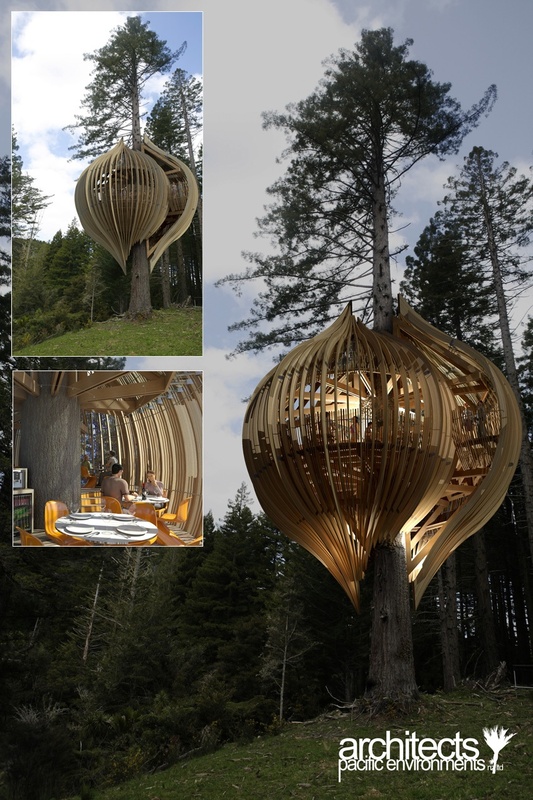 Apparently, the restaurant is based on the idea of a chrysalis hanging from a tree and is meant to give visitors a fairy-tale view of the forest environment. 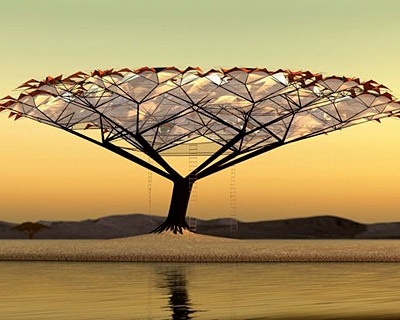 The tree restaurant itself is 10m wide and over 12m high and is sustainably constructed. To get into it to have your meal you have to walk a 60m tree-top walk first! 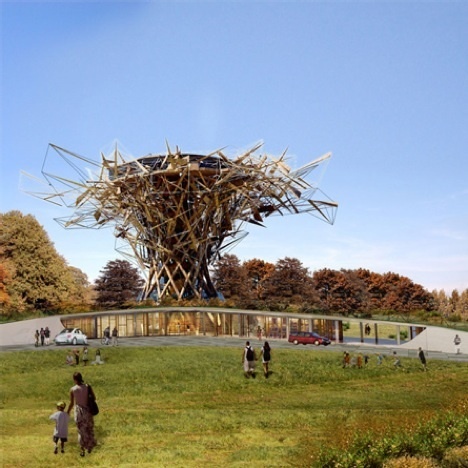 Number three on the list is the 4TreeHouse which was created by Lukasz Kos, a student at University of Toronto’s School of Architecture and Design. 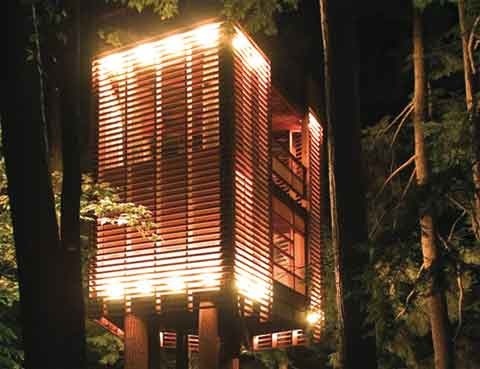 The form and appearance of the treehouse are based on the aesthetics of a traditional Japanese lantern and the idea is that the house itself blends in with area around it and seems as though it is a beacon floating in mid-air. It is situated in the tall trees around the Lake Muskoka are in Ontario. Next is this truly incredible, if not slightly ramshackle treehouse which has been designed by Takashi Kobayashi who is well known in Japan for his treehouse creations. 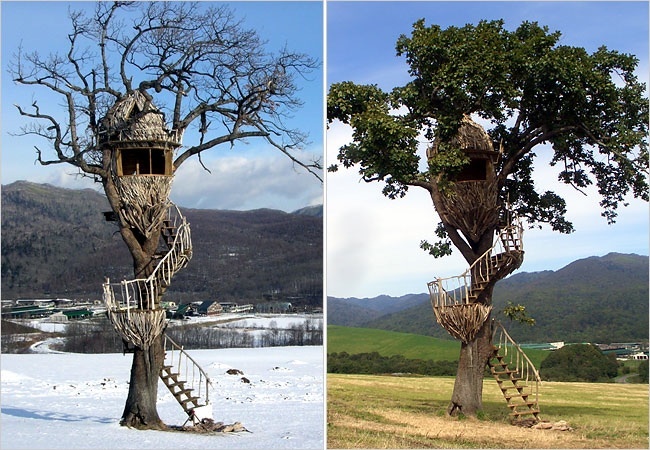 The actual treehouse came to be built only because Nescafe commissioned Kobayashi to make one for a television advert. The egg shaped structure itself is 12 feet high and about 9 feet in diameter. This is one of the most dream-like of all the treehouses in this post and the irregular spiral staircase seems to be reminiscent of Robinson Crusoe! Tree Canopy is just a concept at this stage but its a darn good one! Designed by the clever people at 51% Studios, it’s form and structure was inspired by the African Acacia tree which you will see dotted all over the African countryside. The designers planned for it to be used as a place for visiting safarists to stay and track wild animals from. Here is a great example of a more minimalist, modern treehouse. This was created by Kyu Che Studio who decided that they wanted to make something that would work in any environment or location. The Lifepod can be moved and re-assembled anywhere in a relatively short amount of time and with little effort. 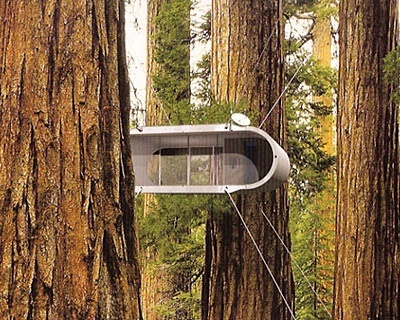 Plus the structure can be attached to any terrain as well as elevatedÂ high up by a series of adjustable steel legs and cables secured to neighboring trees. The company that make it suggest using it as an office or spare room and also say that it can accommodate a couple of people for several days. 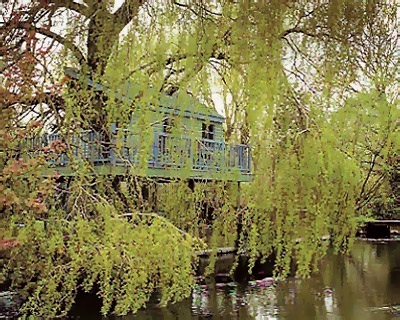 This next treehouse is irresistibly charming in a kind of old worldly way. Painted a lovely blue color and nestled away under some old weeping willow trees just by the river, the location for this couldn’t be any better! The owners say that when the weather is good they have great fun climbing up onto the roof and jumping into the clear river water. The main selling point of this Sky High treehouse is the breath taking views of the nearby Lake Geneva. From the treehouse which is 130-foot up a massive Austrian pine the owner says he can see for miles around. What is deeply attractive about this particular treehouse is that it blends in so well with the structure of the tree itself and looks as though it has always been there. This entry was posted on Wednesday, November 19th, 2008 by HDF and is filed under Architecture. You can follow any responses to this entry through the RSS 2.0 feed. You can leave a comment. Very cool. Its interesting the ideas people have when they put some thought to it.Also click on my name.